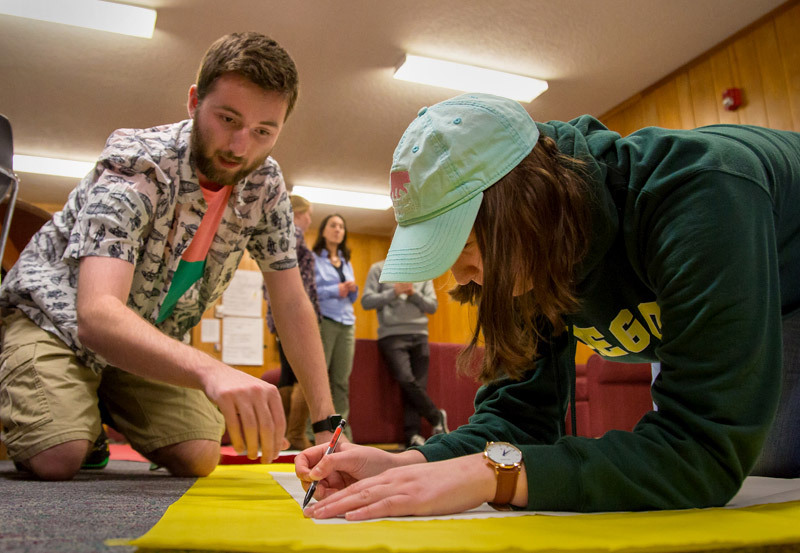 Located on the east side of campus near the Jaqua Center, University Health Center, and Matthew Knight Area, residents in Hamilton have great indoor and outdoor community spaces, including the Hamilton dining commons and music practice rooms. Hamilton is single-gendered by floor. 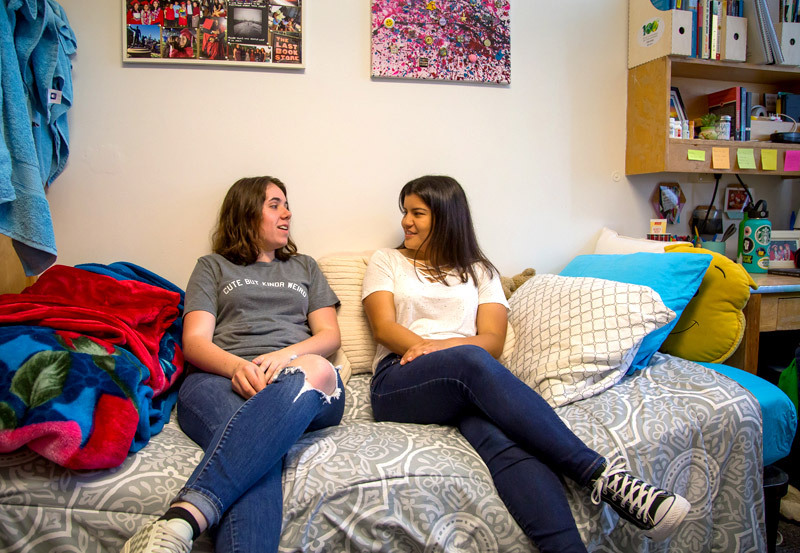 The community lounges and outdoor Humpy Lumpy Lawn are favorite hangout spots for students who live in Hamilton and neighboring communities. Hamilton is home to the Performing Arts Collective, an Academic Residential Community. 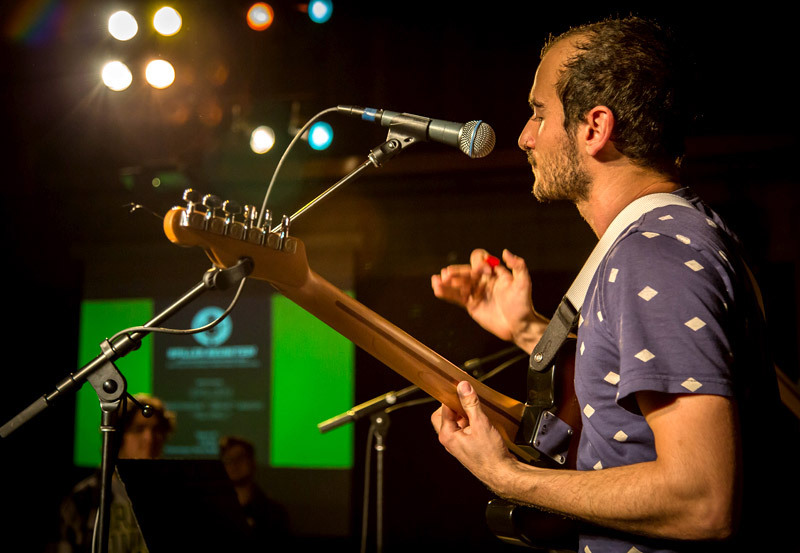 Residents have access to a number of music practice and composition rooms in the building, and Hamilton hosts Hamstock—a live music festival each year. 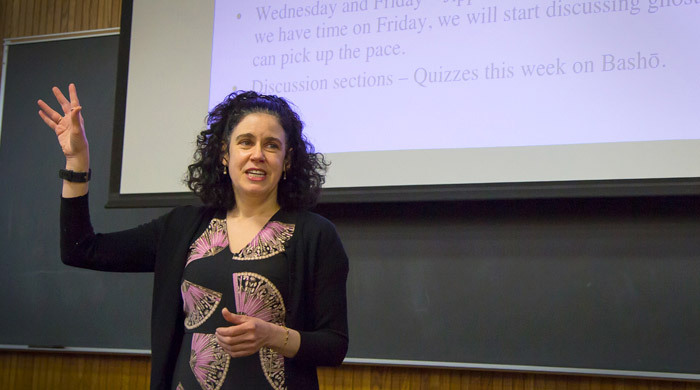 Hamilton’s faculty fellow is Alisa Freedman. 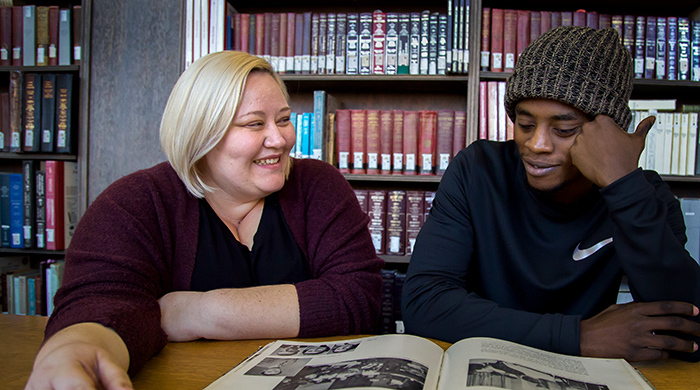 Faculty fellows have informal interactions with students in the hall that can include giving advice, helping with homework, and mentoring students in their hall. Dulce Castro is the advising fellow for Hamilton. 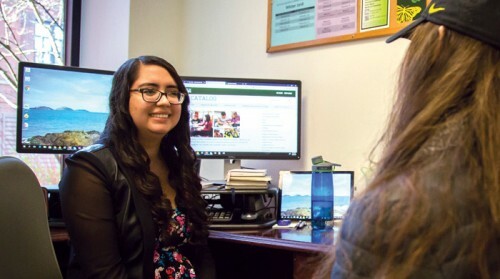 Advising fellows can help with questions about class schedules, when to drop a class, how to plan for study abroad, and how to graduate on time. 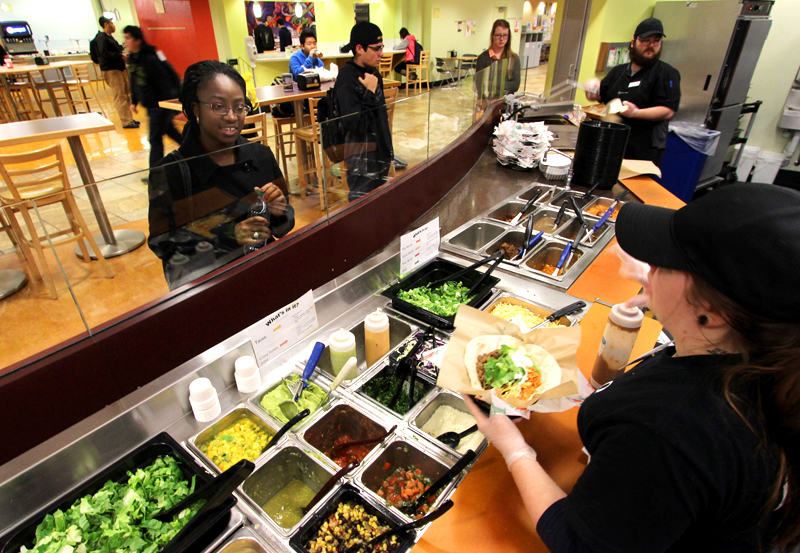 Hamilton is a great place for food on campus. With four different food venues and a market, there is something for everyone. Located in Hamilton Hall. Go here for mail and packages; a key if you’re locked out; movie, game, and equipment checkout. Bean Hall, which is near Hamilton Hall, is being renovated during the 2018–19 academic year. There will be construction noise and increased vehicle traffic. Contractors have been asked to be mindful of student schedules and noise levels.